The latest issue of Weekly Famitsu included an extensive interview to Sega Chief Executive Officer Haruki Satomi, who talked at length about the company’s performance, his plans for the future, and for games currently in development like Project Sakura Wars. He even commented on the possibility of a Saturn mini. First of all, Satomi-san mentions that the most relevant takeaway from the results of the fiscal year 2018 is that the home video game business is doing well. Whether it’s new games or existing ones, regardless of packaged and physical, they’re all doing well worldwide and greatly contributing to Sega’s earnings. In particular, the Asian Market has shown remarkable growth. Asian regions (excluding Japan) now amount to one-third of Japanese sales, and Satomi-san expects them to grow further to half the size of the Japanese market in the near future. On the other hand, there have also been challenges, for instance, the company took a considerable hit in the field of smartphone games. One game was somewhat successful, but nothing to call home about. Phantasy Star Online 2 Episode 5 was also not well received by the fans, and Episode 6 aims to turn that around by responding to feedback. That being said Sega’s IP-based strategy has begun to progress steadily throughout the group, and Satomi-san is optimistic about it. He also explains that with the boom of the mobile market, some people said that playing games on your TV would become a thing of the past. That’s also because the number of people watching TV is decreasing while the use of smartphones is expanding. That being said, games are different, because the way to play and genres you can play on TV are not the same you find on smartphones. Asked about the improvement of the popularity of western games in Japan, Satomi-san mentioned that he feels that the tastes of gamers on a global scale may be getting more similar. Call of Duty: Black Ops 4 sold half a million copies in Japan, but on the other hand Persona 5, which is strongly rooted in its Japanese flavor, has sold hundreds of thousands of copies in Europe and in the United States. The gap among sales by region is becoming lower. The Yakuza series has also received high-quality localizations in the past few years, and sales in the United States and Europe have nearly doubled compared to what they were like before. In the future, it’s going to be more and more important to sell games not only in Japan but on the global market. Talking about smartphone games, Satomi-san argues that the market is actually not shrinking. While it has slowed down in Japan, it still growing. It is more difficult for Japanese companies to achieve a hit and some are struggling financially, but looking only at that factor is misleading. Games like Fortnite are popular in Japan, and smartphone titles from overseas are becoming stronger. On the other hand, the reverse is also true, and Japanese mobile games can achieve success overseas, so it’s important to look at this as an opportunity. Speaking of eSports, the biggest issue according to Satomi is how software developers can make revenue off them. Of course, making more eSports-oriented games is an obvious answer, but there are limits to what can be achieved that way. Satomi-san also talked about Sega Fes, which matches with the objective of helping gamers like Sega once again and increasing the number of fans of the company’s games. To that end, the event was established so that inspiring experience could be shared among fans and developers together. The first Sega Fes was held in November 2016, but that was right after Tokyo Game Show and the sales season at the end of the year had already begun, which means that there wasn’t much to provide in terms of news. On the other hand, Sega wants the event to be a place to provide new info and would like to establish it as a chance to deliver news about the Sega future in the future as well. Speaking about last year’s Sega Fes, the response from the fans to Project Sakura Wars and the Mega Drive mini was amazing for the PR staff at the event. That being said, some of the promises from last year like the launch of the Mega Drive Mini couldn’t be kept, and Satomi-san expresses his apology to the fans who have been waiting. 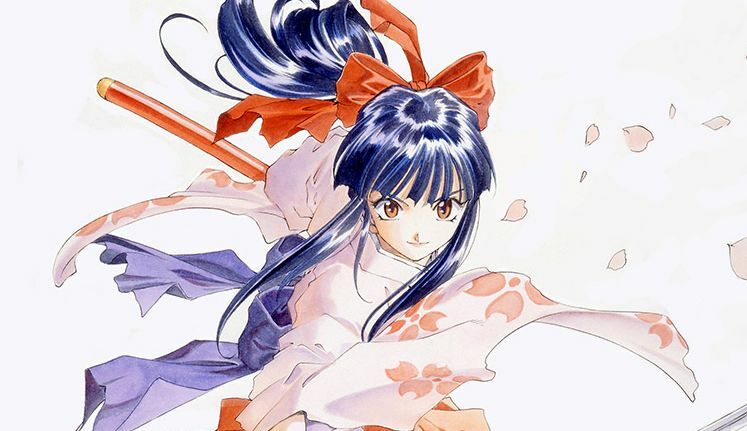 About Sakura-wars, Satomi-san explains that he is in charge of production and general control for Project Sakura Wars, but the project itself was kickstarted by the passion of his employees. It had to clear various conditions like budget and the creation of the development environment, but it’s going well. 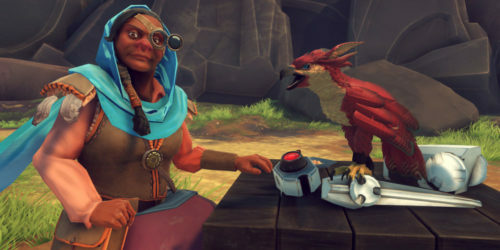 Some of the challenges the team had to face was deciding what kind of visuals could be appropriate to display such a gem on modern platforms, or how could many fans be convinced of the scope and quality of the game. Since expectations have greatly increased since last year, simply responding to them isn’t enough. Satomi-san wants to exceed them. As he often says, it’s important to go beyond the expectations of the fans. If you simply meet those expectations, it’s going to end with “oh, it was as expected.” Only when expectations are surpassed is when an “inspiring experience” is born. This is one of the reasons why the reveal took so long after the initial announcement. Since the expectations from the fans were higher than Sega predicted, it was important to go all out and take some time to surpass them. While some information has been provided at Sega Fes, more ammouncements and reveals will come leading to Tokyo Game Show. According to Satomi-san it’s a challenge to find the balance between pleasing existing fans and finding new ones. Yet, it’s important to satisfy both. As an example of the importance of acquiring new fans, Satomi-san mentioned that Sega was surprised that at the launch of Persona 5, the reception was very positive despite eight years passed since Persona 4. The protagonists are high school students, and among customers who purchased the game there was a huge number of younger people who were of high-school age themselves, and most probably didn’t play Persona 4 at all. That was a learning experience. Just as Persona 5 won over not only old fans, but also new ones, how do you attract new players to Project Sakura Wars while also convincing the existing fans? That’s a crucial point for Satomi-san. We also hear about the Mega Drive Mini. At first, Sega was planning only one version focused on the Japanese hardware, but due to the positive response of fans around the world, they decided to also create the Genesis Mini and models for Europe and Asia. 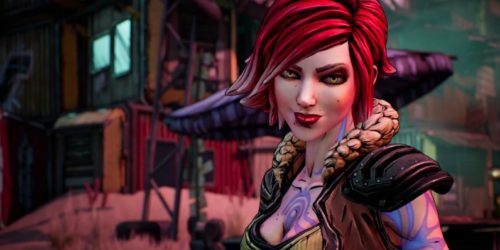 The biggest reason behind the delay of the release date was a rework of the design and the analysis of which titles were the most requested in each region to release multiple versions. Asked whether a Saturn mini could be possible, Satomi-san laughed and explained that for now the priority is turning the Mega Drive Mini in a success. As the hardware generations become more advanced, miniaturization becomes more challenging. The Saturn introduced polygonal graphics, but they were noticeably rough. Due to these factors, could a Saturn Mini be an attractive product? It’s necessary to study these issues carefully and understand what the fans want. Asked about the plans for the fiscal year 2019 [Ending on March 31, 2020] Satomi-san explained that 2020 will be the sixtieth anniversary of the foundation of Sega. Thinking in terms of triple jump [hop, skip, jump], 2018 was the year of “hop,” and 2019 is the year of “skip” leading to the “jump” in 2020. The goal is to challenge in various ways both new IP and Existing Sega IP, on top of popular IP like the Kancolle and Fate/Grand Order arcade games. He thinks new games [or a new game. Japanese does not distinguish between singular and plural] that are “Sega-like” can be announced so fans should look forward to that. Satomi-san concluded by mentioning that expectations from the fans are growing year by year. For a while, some of those expectations haven’t been met, and many fans were dissatisfied. His goal is to become a company that can meet expectations one by one, and that can make people say “If it’s Sega, they can do this.” As usual, he is thankful for the support from the fans now and in the future. If you’d like to see more of the game, you can enjoy the latest screenshots and details, the original Japanese reveal and the announcement of the western localization. The Mega Drive Mini/Genesis Mini will launch worldwide on September 19.